Photos from the Greater Chicago Jewish Festival 2012! 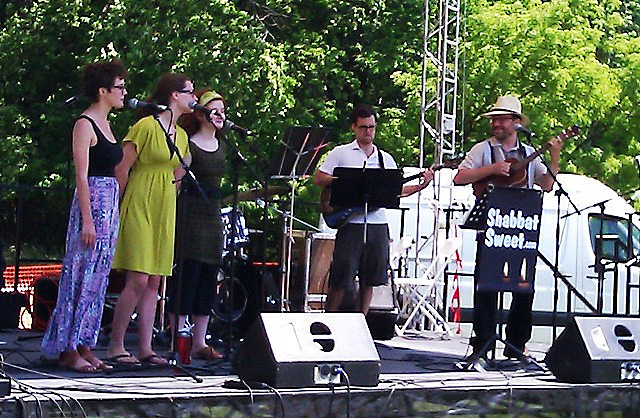 Here are a couple of pictures from my performances June 10th at the Greater Chicago Jewish Festival 2012. Here we are playing a children’s music set, with me obviously enjoying the “Sweet Sisters” amazing harmonies! 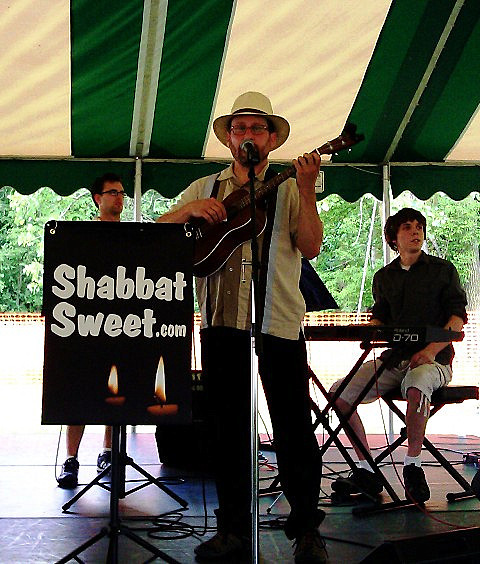 Here we are playing selections for “A Shabbat Sweet,” when I may have been singing Dodi Li, the song I released recently. Give it a listen if you haven’t, and if you have, have another listen. Heck, feel free to make a donation while you’re there so I can record more of this music!!!! Thanks to Beverly Friend for the photos!!! Previous PostThe early reviews of “Dodi Li” are in…Next Post“A Shabbat Sweet” on the Beach!!! !